The Nevada Gaming Regulator decided that it was time for it to upgrade its sexual harassment policies in light of the Steve Wynn sexual harassment scandal and the #MeToo movement. The gaming regulator reached out hundreds of casino employees and executives to get their feedback and views on sexual harassment policies being adopted in Nevada’s casinos and what can be done better in order to make the workplace a more safe environment. The Nevada Casino Union also called on the gaming regulator earlier this year to ensure that the new sexual harassment laws take into consideration the behaviour of casino employees high-rollers and guests. The gaming regulator has spent the last couple of months taking feedback and reviewing the same to come up with a new sexual harassment draft policy. The new draft policy also puts in place a better system of how sexual harassment complaints need to be escalated and handled. 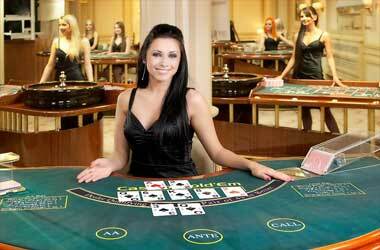 The policy once rolled out will have to be followed by all licensed casinos in Nevada. Some of the top casinos operators in the state have already stated that most of the laws outlined in the new policy are common to major multi-national-companies in the country and that their casinos are already following these regulations. Harris has plans to put together two more workshops that will held respectively in North and South Nevada. Feedback will once again be collected from these workshops and will be used to help with the final draft. She went on to say that she had been very pleased with the response they had received from the casino industry with regards to developing new and improved sexual harassment policies. The casino industry in America was shaken up earlier this year after casino tycoon Steve Wynn was accused of sexual harassment. Those allegations eventually forced Steve Wynn to resign from his post as Chairman of Wynn Resorts and cause the gaming regulator in Nevada to launch an investigation into Steve Wynn’s behaviour.